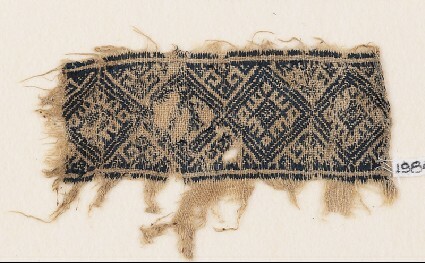 A band with a single line of diamonds defined by blue embroidery, filled with a central square surrounded by a comb pattern. Between the diamonds are triangles filled with scrolls. 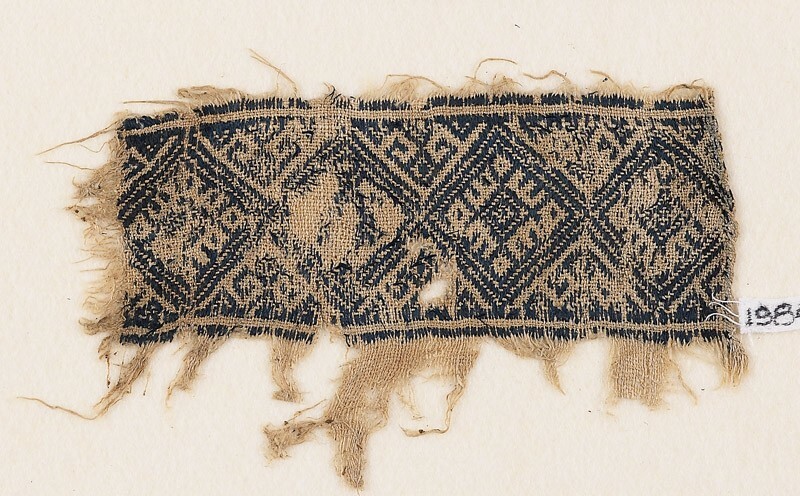 The band is 4 cm wide and fills the length of the fragment. At one end there is a rolled hem.